A short walk to the beach and a quick drive to Bayfair Shopping Centre and Baywave Pools. This house has plenty of room inside and out. The house is north facing with open plan lounge, dining and kitchen. Awesome indoor-outdoor flow with double sidling doors leading out to a fully fenced private and sunny backyard. Great outdoor patio, pull up a chair and relax in the afternoon sun. 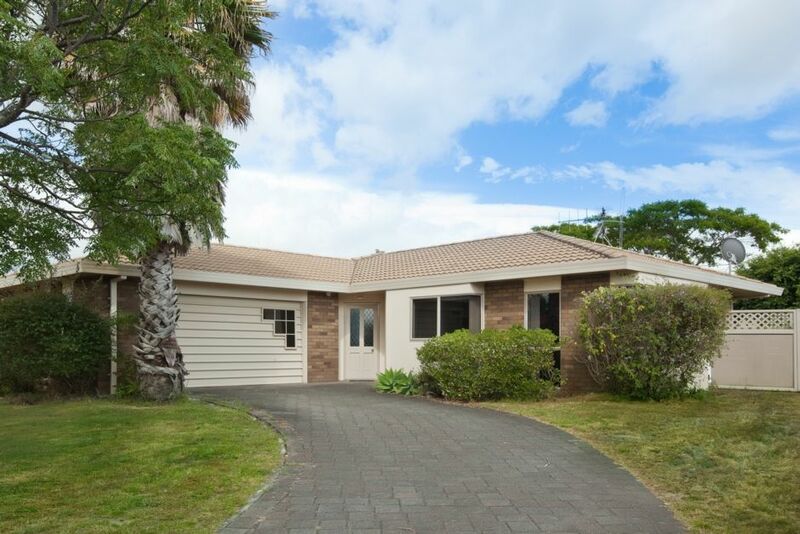 Located in sunny Mt Maunganui, with a large reserve and kids playground a short walk down the street. This house is 10mins drive to Baypark Arena, Tauranga Airport, Papamoa Beach Plaza, Mount Hot Pools, Tauranga City and restaurants. Go for a walk around The Mount, swim at the beach or soak in the salt water Hot Pools. The choice is yours. The house is modern with 3 bedrooms, bedroom 1 is set up with a super king bed. Bedroom 2 contains a double bed, and bedroom 3 has a king single bed with a trundler bed that can be set up as two singles or another king size bed. The section is fully fenced. This is a family home and quiet street so best suited to families or people after a low-key holiday. Great place for my family to stay. We enjoyed the back yard and watching our children play. Would recommend this house for families. Great location for ASB arena, beach and Bayfair shopping centre. Great location for ASB arena, beach and Bayfair shopping centre. Property was clean and tidy. Comfortable beds. Could do with few little things improved ie BBQ tools and few other kitchen items. its is a wonderful location for people who is going to have event at the ASB Baypark. its is a wonderful location for people who is going to have event at the ASB Baypark. With easy way to get to the City or Mount. Great location. Within walking distance to beach!